Below you find a list of proposals for student projects that bring the current vision further. If you are a student at DTU, please contact me (alfh <at>byg.dtu.dk) and make an arrangement. If you from outside – work on it and share your results with us. 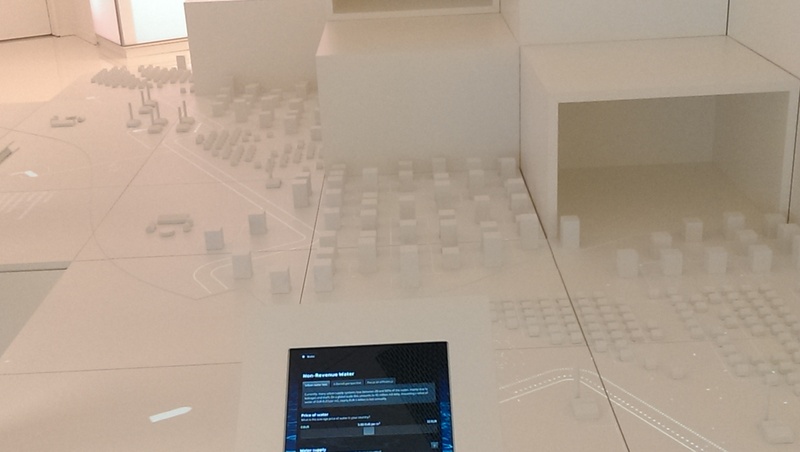 The introduction of smart cities and smart grids, define additional demands to our buildings. The projects are very tight related to the research ongoing in the field and the first student has already a PhD appointment before being finished with her Master Thesis. Hence relevancy for the student project is very high for both the society and the research. You may however note that the projects are rather demanding and we do not know the results, the methods and such like in advance. This is real ground breaking work and will go on for a few years, amongst others in the research in the Centre for IT-Intelligent Energy Systems for Cities (CITIES) http://smart-cities-centre.org. In an international cooperation, EERA, best practice solutions are to be collected as an online case collection. The current project aims at building up a prototype of such a resource. The task would be to collect building cases from the partner organizations including the cases data, reports, drawings and other resources and standardize them to an online structure. To get a engineer level into this project, one could add simulation models from SketchUp, Revit (BIM) models to energy simulation tools. Inspiration from the TUBULA-project at http://episcope.eu/index.php?id=97 that has a online database at: http://webtool.building-typology.eu/ a simple tool and an advanced tool. The project must at least meet the level shown here. on the activities and join us in projects around the campus towards the world most sustainable university campus. Renovation of buildings is an important activity with increased focus these years. Especially energy renovation is relevant and brings alone opportunities of engaging as students. DTU Byg students were involved in the renovation of the “Lundtofte Skole” school building(s) where from the experiences can be carried over to other schools. Lyngby-Taarbæk Commune is interested in getting this done with student help. This would involve registration of existing school buildings and proposals for renovation. Lyngby-Taarbæk Commune has decided to run a Videnby-project on renovation. The project is under definition, but the idea is to get whole areas renovated, build up the relevant network to support such activities and cooperation. DTU students are welcome to involve, e.g. in data collection, base lining, but also designing, modelling, simulation, optimization, finding solutions to relevant aspects of this effort. Evaluation of new glass façade building e.g. 324. Planning the coming Nanotech building. Evaluation of renovations in general, especially sustainability aspects. Renovation of multifamily housings in cooperation with owner DAB, KAB etc., architects and consultants. See http://blog.ted.com/2013/05/23/how-to-print-out-your-own-house/ for an introduction to the idea. Check out the WikiHouse idea – Could we test it? What are the findings? Is it a way to go? Pro and cons? There are many renovation project at the department that are baselined and monitored under and after the renovation. This can be done from case to case, but you can find a more generic way of doing this task and develop a “system” for monitoring buildings in a more systematic way. If you like to work with measurements in buildings, this is an opportunity of doing so. State of Green exposes Danish Know How to international decision makers. 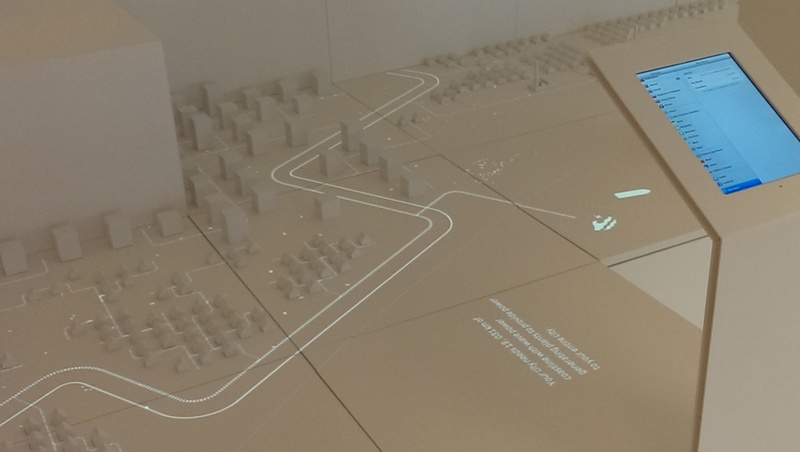 This is amongst others done by visualizing energy data onto a 3D-model of different city types. See pictures. The project is to dig into the visualization platform and bring in our knowledge on e.g. smart cities, solar impact on cities, wind impact on cities and such like information. There will be implementation of models, or data-series, dependent on the demands by the current system. If necessary one could probably expand the existing software. To get an idea what data could be visualized, take a look at the thesis by Mads and Lærke. Qualcomm is presenting a “smart home” solution based on the open standard “AllJoyn standard, administered by Allseen Alliance. A project could look at “smart home” solutions, also the one(s) designed for “Solar Decathlon”, analyze the applicability, strength and weaknesses of the open standard, try to get it to run and get first experiences – and if more ambitious, develop an application, sensor solution to it. Alle taler om “internet of things” – en ikke så fjern fremtid hvor blandt andet alle hjemmets dimser er forbundet til nettet og hinanden. Der er et hav af forskellige standarder og indtil videre er der ikke nogen der helt har knækket nøden. Men chipgiganten Qualcomm fremviste nogle af deres visioner på den netop overståede Mobile World Congress mobilmesse der blev afholdt i Barcelona. Og Qualcomm havde flere meget konkrete bud på, hvordan fremtidens hjem kan komme til at se ud. Eksempelvis hoveddøren der selv låser op, når den konstaterer at din smartphone er i nærheden, pærer i loftet der skifter farve afhængig af hvad temperaturen i rummet er, og TV’et der sladrer hvis børnene bruger deres tablet efter sengetid. Qualcomm’s “fremtidens hjem” bygger på en ny og åben AllJoyn standard, der igen administreres af Allseen Alliance, hvis medlemmer tæller en del af de helt tunge drenge inden for forbrugerelektronikverdenen. I videoen øverst i artiklen kan du se Nikolaj Sonne’s besøg ind i en verden der – hurtigere end man tror – kan blive standard i mange hjem. SCRUM is an agile method for project management i IT. The method seems very well suitable to the building industries, where you have big projects that involve thousands of small tasks to be solve in a flexible and controlled manner. Can we transform SCRUM so it is applicable on the building sector? The Technological Institute in Taastrup applies a standard methodology for “tuning” building control and hereby improve their efficiency dramatically by simple rules. One project could be to test this method and apply it on a real world case, probably at the DTU Campus. Commissioning is the task to ensure that a new or renovated building is meeting the contractual demands. The objective of the project is to find literature, methods for commissioning and apply it on a real world case, probably at the DTU Campus. Continuous Commissioning is an ongoing effort of getting the building to behave efficiently. This involves monitoring, control and automated testing. The vision in this project is to generate a methodology and software package that is building on existing software that can be applied for this task. Hence there is a need for students with programming skills, students with measuring skills and others. One variant of this project could be to make simulation models that support the optimization process. For new building design, there are involved simulation models for performance modelling. When the building are built, there is often a discrepancy between the estimated and the real monitored performances. It would be relevant to develop methodologies that explain these differences and find solutions to them. In this topic there is a lot of work to be done, investigating the application, pros and cons of simulation software, of integrated design with tools, of interoperability issues and much more. [(http://mrcomfy.org/) visualisation of values on building floor plan (https://github.com/Gerilla-Project/gerilla-for-grasshopper) (https://github.com/mostaphaRoudsari/Honeybee/) for daylight analysis (http://diva4rhino.com/user-guide/simulation-types/thermal-analysis) also for daylight analysis] and other plug-ins. You may evaluate Open Studio that combines Energy Plus for energy evaluations, Radiance for daylight analysis and so on: http://openstudio.nrel.gov/. Simple building design tool on Be10, architect supporting tool A+E:3D tool at http://www.apluse.dk/ . SimCities (gaming tool with objects that have associated impacts (could be energy demand, flexibility and such like). There is a student activity that utilized data from campus activities for the research of “social networks and data” – You may read about it here Sensible DTU. There could be an idea of combining energy measurements with social data to limit the energy demand where no people are present. Wireless sensor networks can improve the efficiency in the building sector, enable better monitoring and control of buildings and hereby reduce energy demands in buildings and much more. The project by Christian has shown the potential for applying wireless sensor networks in the building sector. The field is very large and there are needs for developing the integration into the building sector, but also development of hardware and software solutions. Twine is a device that can be contolled over the internet with no programming. You can f.eks. use it to make a door control that tells you, if a door is open or closed and much more: http://www.kickstarter.com/projects/supermechanical/twine-listen-to-your-world-talk-to-the-internet. You find the project homepage at: http://supermechanical.com/. Do you want to get into home control and automation, this is a way that does not demand too much knowledge on programming. The Solar Declathron project at DTU could be a goal for the project of applying such device technologies. Other components could be coupling Twine med “Raspberry Pie” over wireless technologies and hereby sensor applications and control in one. The project by Theis did present a toolset that enables the application of different tools to design buildings. The idea of this project is, to get a web-interface to control the computations, a so-called “configurator”. You will be able to choose the design criteria for a building on a website – easy to use by click and play. The infrastructure behind will do all the drawing, computations and sends the result back to the homepage to inform the designer on the consequences of a given choice. The current project proposal is directed towards IT-nerds that want to develop a rather demanding Web Systems for building design. You have to have rather good experiences in web-development. It is not expected that a first project will lead to the final solution, but we will work on it over a series of projects. The result will come into production, amongst at Technological Institute. There is a demand for getting tools in the building design to work together. There are different proposals for solutions, amongst a integration platform by the Berkeley University – Building Controls Virtual Test Bed – http://simulationresearch.lbl.gov/bcvtb, another way of getting the integration is to utilize the semantic web – https://www.simantics.org/simantics – and others can be found, a third idea could build on BIM as a standard for integration, and at last a data platform could make a common ground for different programs for simulation of buildings. If you find “interoperability” to be an interesting field, this is a chance to make a difference. The project by Lærke og Mads show a prototype idea for the visualization of building and energy data on the web for decision making. We would like to implement this idea in a real application, e.g. in cooperation with Copenhagen Commune. Your skills in visulation on the Web can play a very important role in this project. Also data handling skills could be of use. The aim is to get the result into production and hereby your work into real use. “Topology of building software” – the building simulation software is wide spread and there are demands for a survey on what each software can be used for at what it cannot. … et samarbejde med elever fra DTU om at komme med forslag til fx. soldrift af en eksisterende vandinstallation på kulturtorvet i Kgs. Lyngby. Den er placeret foran indgangen til Kulturhuset på pladsen. Vandinstallationen har ikke været i drift siden 2009, og ønskes nu sat igang igen. I den forbindelse så udvalget gerne, at forvaltningen undersøgte mulighederne for at drive den miljø- og energimæssig rigitg uden brug af fossile brændstoffer. Her har du muligheden for at kombinere kunstneriske og tekniske kompetencer i samme projekt. Due to reduced energy within the operation of buildings, the impact of the energy bound to the buildings in the construction phase gets increasingly dominant. To tackle these aspects the Life Cycle Analysis method tries to collect evidences on the energy of the individual components, methods and procedures of the building construction. However the method is very complex due to it’s bottom-up approach. The idea in a student project would be to develop a top-down approach that takes the large impacts first and dig down to a level that give reasonable complete results but not drowning us in work loads. The project could be to model the recommendation and validate it – look at server rooms at DTU or elsewhere to optimize them. LabView is a software that gives an easy to use interface for setting up measurements and monitoring systems. There are unlimited opportunities of using LabView for our experiments, your experiments. If you like to work with measurements, this is an opportunity to get a more professional approach towards the collection of sensor data in an integrated setup. The application of LabView at a generic level is demonstrated by Morten that shows clearly that the development of generic setups in LabView is rather demanding and you ought to know programming to go to this level of abstraction and develop further on this level. You are very welcome to do so.